In my previous blog, I briefly introduced the Flood and Drought Portal (http://www.flooddroughtmonitor.com/), and indicated that the portal has tools that can be used individually or collectively to incorporate information about floods and droughts and likely climatic scenarios into planning. The data and information tool (application) provides near real-time satellite based data, seasonal and medium range climate forecast, climate change projections and different types of data and information relevant for basin and local planning (See Linking Flood and Drought Data to Water Safety Planning: Part 1). Incorporating the findings into their water safety planning processes and operations. The aim of our project is to address the above challenges via the development of a guidance document to assist water utilities/municipalities with using/interpreting climate information from selected datasets (e.g. rainfall, temperature, rainfall forecasting, etc.) available on the Flood and Drought portal, and incorporating these findings into WSP processes. 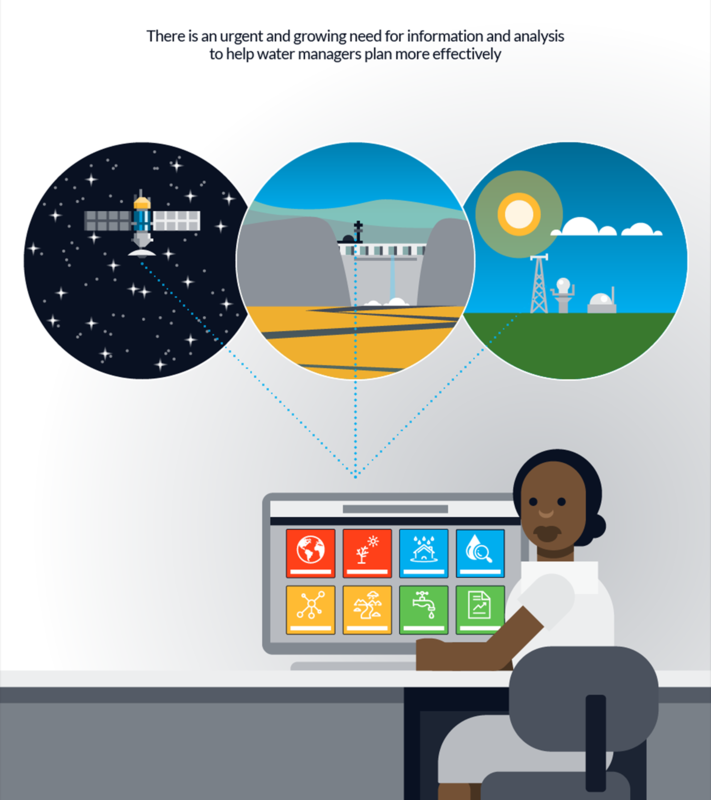 The team considered if the datasets can be used to indicate “wetter” or “drier” conditions, and the effect these conditions have on the hazards and hazardous events faced by a water utility. The main purpose of analysing a particular dataset is therefore to reach a conclusion which can be applied to the water safety plan process. In essence, we therefore aim to conclude whether things getting better, staying more or less the same, or getting worse. This will then help the utility to decide what their next steps should be (i.e. What are we going to do about it?). *Note: Part 3 of this blog series will further discuss the conclusions and how to get to them. Even though there are a large number of datasets available, we selected a few key datasets that we felt are necessary for analysis and incorporation into the water safety planning process. Initially, datasets were categorised as those that were only flood related, only drought related, and those that applied to both floods and droughts. Datasets were scrutinised and rigorously analysed using the following selection criteria. Ease of use and analysis – These include datasets that are easy to understand and can be analysed with ease (i.e. requires no specialised skills or software). Can conclusions be drawn after analysing this data? – Will the user be able to determine if conditions are “wetter” or “drier”? Data Status – Even though most datasets are updated in near-real time, some datasets have been retired, and may not have data that is current (e.g. perhaps does not include 2018). For example, some river discharge datasets only have data up to the 1990’s. The data status was mainly applied to short-term analysis. Datasets that are most useful to water utilities globally – Which datasets would be most useful and of interest to water utilities and their operation in all regions of the globe? Data format – In what format is the data available within the portal (e.g. tables, time series data)? Some datasets may only be available in one format for example “raster”, which requires GIS software, which the utility might not have direct access to. The ability to forecast long term climate – can datasets be used to forecast long-term trends in meteorological variables? This could require two or more datasets used in conjunction. Using the above criteria, datasets were selected to be incorporated in the Water Safety Planning process, as summarised in Table 1 below. For more information on the full list of datasets in the data and information application follow the link below. 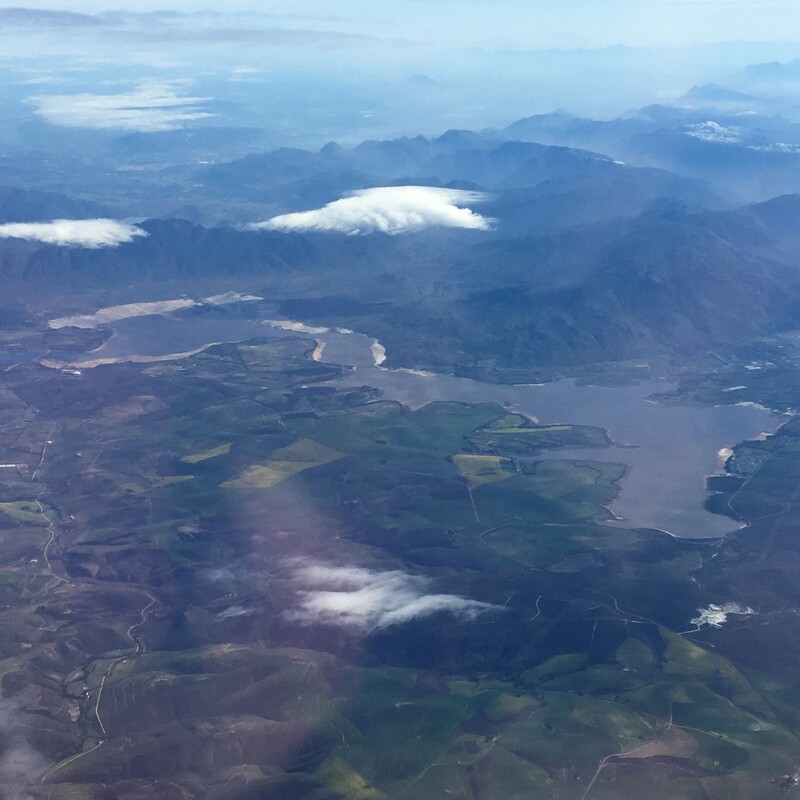 The drought my hometown, Cape Town, is experiencing has shown some relief, but we as locals have to continue our water saving efforts if we are to ensure that we have sufficient water during the coming dry season. 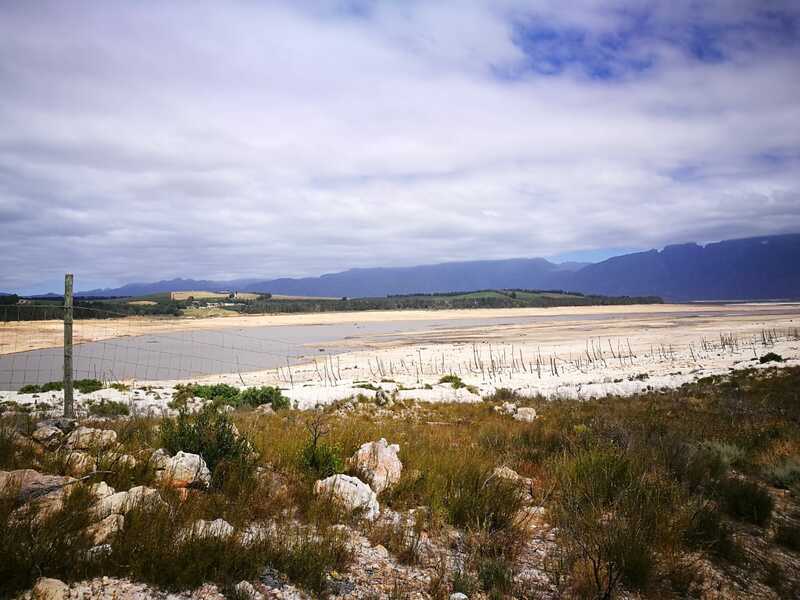 The images below are of the Theewaterskloof Dam, one of the most important dams feeding Cape Town with water. Figures 2 and 3 show the state of the dam in January 2018, and figure 4 shows the state of the dam and the recovery of the water levels, during August 2018. 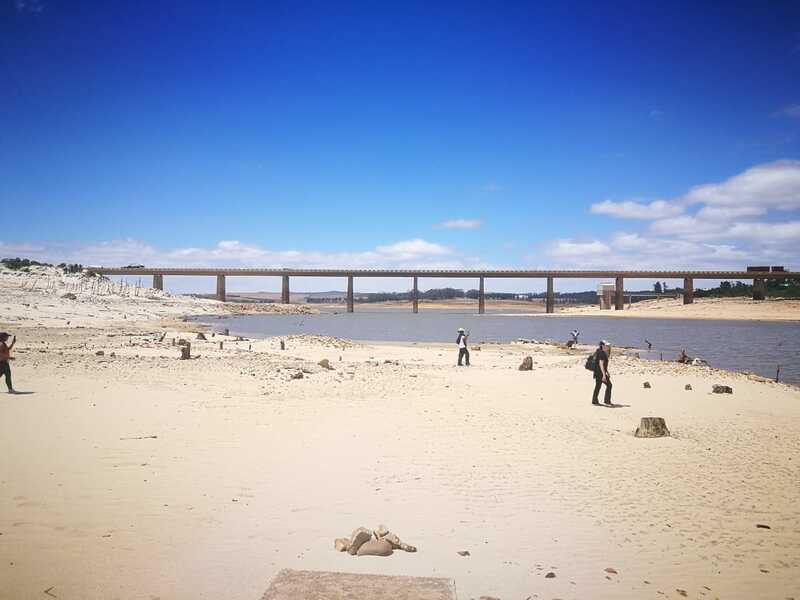 Figure 4: Theewaterskloof dam water levels during August 2018. Dam levels have recovered significantly since January 2018. Join us at the IWA World Water Congress and Exhibition in Tokyo, Japan from 16-21 September 2018 for a workshop on “Climate Resilient Water Safety and Security Planning” and a demonstration of the Flood and Drought Portal “Building Climate Resilience Through Improved Planning: A Demonstration of the Flood and Drought Portal”.